Central Jersey Sports & Spine was formed in July 2014 in Somerset, NJ. Since its inception, CJSS has added 2 more offices in Monroe Township and Hillsborough. The Physical Therapy practice began in February 2015 and since has helped many patients regain strength and mobility. 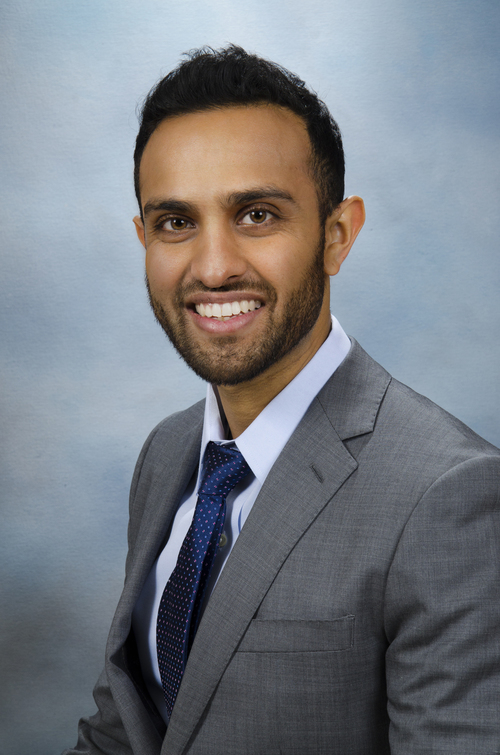 Dr. Naimish Baxi focuses his expertise in the sub-specialty of sports medicine, spine care, pain management, and musculoskeletal medicine. Dr. Baxi received his medical degree from New Jersey Medical School (formerly an institute of the University of Medicine and Dentistry of New Jersey, and now a unit of Rutgers School of Biomedical and Health Sciences). He completed an internship at the Jersey Medical Center (under the Barnabas health system), and residency in Physical Medicine & Rehabilitation at Mount Sinai Hospital in New York. Following his residency, Dr. Baxi completed an Interventional Spine & Sports Medicine at Orthopedic and Spine Specialists (OSS) Health in Pennsylvania. Dr. Baxi is a New Jersey native – growing up locally in East Brunswick – and he and his wife currently reside in New Brunswick. He is fluent Spanish and Gujarati. In his spare time Dr. Baxi remains dedicated to wellness and staying physically active, and he has a passion for exercise and nutrition. He follows the Paleo diet and is currently a CrossFit Level 1 trainer (click to learn more). Dr. Roshni Gandhi is a graduate of the William M. Scholl College of Podiatric Medicine in North Chicago, IL. She completed a comprehensive three-year Podiatric Medicine & Surgery residency at Christiana Care Health System in Wilmington, DE, serving as chief resident in her final year of training. Throughout her residency, she received comprehensive training in elective forefoot and rearfoot surgical techniques, tendon and ligament injuries, trauma, flatfoot reconstruction, pediatrics, arthroscopy, and limb salvage. She completed the Foot and Ankle Arthroscopy course sponsored by the American College of Foot and Ankle Surgeons in addition to many advanced surgical courses. Dr. Gandhi enjoys educating her patients about their foot problems and treats with both conservative and surgical methods. Dr. Gandhi is committed to improving the health of your feet, ankle, and legs. She has a special interest in treating sports related injuries and has the expertise to get the athlete back to what they love to do. She is a member of the American Podiatric Medical Association and the American College of Foot and Ankle Surgeons. Dr. Kondos’s primary professional experience has been in outpatient orthopedics with knowledge in sports medicine and musculoskeletal injuries. Dr. Kondos is certified in IASTM (instrument assisted soft tissue mobilization). She is skilled in kinesio-taping techniques and looking to obtain her certification. Dr. Karen Kondos received her doctorate of Physical Therapy degree at Long Island University-Brooklyn in 2011. Prior to that, she graduated from Kean University with her Bachelor of Arts Degree in Psychology in 2008. She was born in Alexandria, Egypt and moved to the United States in 1999. She has been living in East Brunswick, NJ since. 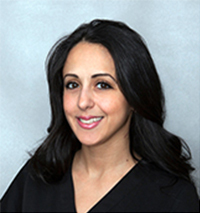 Dr. Kondos enjoys traveling, belly dancing, listening to Arabic and house music and enjoys watching soccer and roots for the New York Jets. She is also fluent in speaking, writing and reading Arabic. Dr. Patel received both her B.A. in Biology , minor Psychology from Rutgers University and her Doctorate in Physical Therapy from New York Institute of Technology. She is a certified yoga instructor, and has been practicing yoga for several years. She has found yoga and physical therapy work nicely together to create a healing environment that focuses on the dualities and relationships between mind and body, flexibility and strength, stability and movement. Dr. Patel is passionate about helping people and getting them back to their active lifestyles. Dr. Patel spends her free time enjoying all the outdoor activities such as hiking , walking and also exploring delicious food that the east coast has to offer.